Okay… let’s start with, what is the cloud? What exactly is cloud computing? Next, I will decompose some of the myths around the cloud and point out what is in fact true. 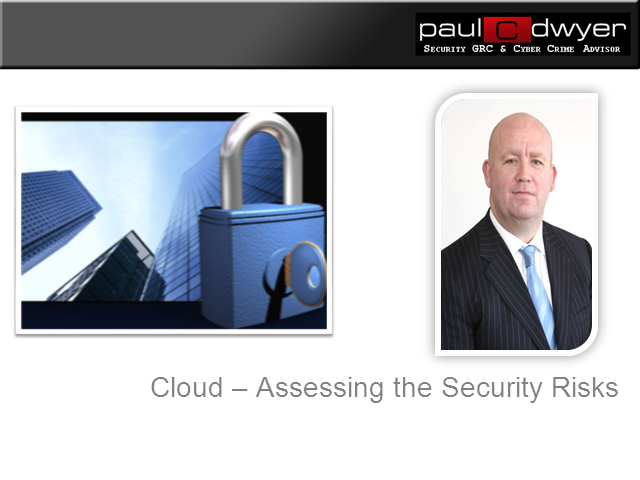 We will look at some implementation scenarios and review the top security risks of doing business in the cloud. Finally we will review a roadmap to going successful business in the cloud.